Mourners pay tribute to those who were murdered in Orlando at the U.S. Embassy in Poland. Creative commons image by MiłośćNieWyklucza. About three months ago, I wrote a column about banning immigration to quarantine aggressors. I received a lot of support, but additionally, some hate mail. I was told by those, who were haters themselves, I was “intolerant” because of my views. My views reflected that of a citizen wanting to protect other citizens, as well as those here on this soil who are productive immigrants to the United States. Intolerant, however, is a gunman who is an American with Afghan ancestry who murders over 50 attendees in a gay nightclub simply because of their sexual orientation. Intolerant is someone like the above gunman who advocates radical Islam and finds it acceptable to slay others simply because of their lifestyle. Some of my dearest friends are gay, and are people I love very much. My gay friends are friends I can always turn to, and vice-versa, through thick and thin. This has surprised some who know that I am a Christian, because of the way that some Christians are outspoken against the gay, lesbian and transgender lifestyle, and the stigma that has become attached to all who practice Christianity because of that. Christians, however, who are people that practice hate and intolerance against others are not truly Christians. That’s because Christ taught us to walk in love. It’s not up to men to judge others…it’s God that judges…the God that I know though teaches us to walk in love. There are some groups who still want to defend radical Islam and not recognize it for what it is…a hate filled group that doesn’t like people who are not like them. By inviting those who advocate terrorism it’s inviting hate and terror into our borders, and those who allow it are as equally guilty as those who commit terrorist acts in the name of Radical Islam. Radical Islamists hate on gays, women, Christians…and God forbid you are all three, you know you will be subject to the worst type of torture. While people who defend equal treatment for Radical Islamists do not directly condone the actions that radical Islam practices, they still support them, because they refuse to keep their heads out of the sand when it comes to the ways that we need to keep Radical Islam out of our borders…which is through proper vetting and vigilance. America – wake up. We need to not allow these threats into our country…and they are already here sadly because we’ve let our guard down and allowed them in. What Omar Mateen committed has already gone down in history as the worst mass shooting in United States history. And he did so because the twisted ideology he follows hates on Americans, and of course, those in our gay communities. It is also the most lethal incident against the LGBT (lesbian, gay, bisexual and transgender) community, as well as the worst attack of terror on U.S. soil since September 11, 2001. I am not being mean or intolerant for suggesting that anyone who has any ties to radical Islam should not be allowed here. Even one drop of radical Islamist behaviors can ruin the entire melting pot, because radical Islam is a pestilence that is out to seek, kill and destroy anyone who is not like them. And quite honestly, that’s the entire world except for those who are also Radical Islamists. Yet there are many leaders in our country that want to invite threats in…and also citizens that condone those actions. And by inviting in groups like Syrian refugees, by which many of these radical Islamists hide themselves in, is asking for trouble. But some among our leaders wish to invite groups in without vetting these people…but yet there are parties who wish to immigrate here from “safer” parts of the world and legally, and they have to cut through loads of red tape just to step their pinkie toes on U.S. soil. And we are ready to roll out the red carpet for those who are unvetted and we know zero about, while offering them freebies, including health benefits? While many Americans have had their health benefits with Obamacare cancelled? Heck, even a 2013 article states that Muslim countries don’t want Syrian refugees, and in fact, those refugees were unhappy once they arrived in non-Muslim countries that they first arrived in, because they were not able to find work, and wanted to head to countries where there were more free things given to them. One of those countries that were giving away free items to these refugees was France, where in November 2015 a series of ISIS attacks occurred…anyone see a connection here? And now new reports are showing that ISIS fighters are targeting France and Belgium once again, countries that welcomed refugees with open arms where unvetted ISIS cells were hiding. And of course, Brussels suffered terribly from an attack that was ISIS motivated. I will clarify, I am not against these refugees, but what I am against are those within their group that are disguising themselves as refugees, but are really dangerous ISIS terrorists. If President Obama is so comfortable with unvetted refugees, maybe he ought to invite them to stay in his home? At least there, radical Islam can be contained with the one person who enjoys letting it into the United States. In the meantime, Americans are hurting because of all of this. As I recounted in my column about temporarily banning immigration to quarantine those who have hurt and plan to hurt Americans, there have been several attacks already that have been sugar coated as “workplace violence” and other labels, that are truly terrorism. The death of Brendan Tevlin because he was an American. The deaths in San Bernardino. The slaughter of innocents at the Boston Marathon. The beheading of Oklahoman Colleen Hufford because she offended an employee who supported ISIS. A NYPD rookie who was attacked with a hatchet by a radical Islamist nut job who frequented terror sites on the Internet. There are some who wish to say that Christians hate gays, and bring Westboro into the equation. As a Christian, I don’t consider Westboro members Christian. They do not practice Christianity and walk in love as God has taught us. To lump Westboro into Christianity is a misclassification since Westboro is about hate and not love. Yes, Westboro hates, but unlike ISIS, they do so as keyboard warriors and picketers. These are the type of people that their activities are interrupted when motorcyclists run them out of town, with Westboro participants often leaving their signs behind and a puddle of pee because they’re afraid of the conflict once someone is ready to challenge them in person. And guns? Westboro wusses wouldn’t pick up one…how would they be able to hold their signs??? It goes against their ability to continue to promote their message of hate for all groups, not just gays. The closest Westboro is getting to a gun is their upcoming picket of a Guns N’ Roses show in Kansas City because they want Guns N’ Roses members to repent from their many divorces. Let’s get on the topic of guns. Short and sweet, it’s not guns that are bad, it’s those who are handling them and using them in a manner to murder that are. But that does not mean that a person who is a gun owner has the intent to hurt you…or is a “gun nut,” as I’ve heard some call them. First, it’s one of our Constitutional rights to be able to bear arms (“A well regulated Militia, being necessary to the security of a free State, the right of the people to keep and bear Arms, shall not be infringed.”). Those trying to usurp a Constitutional right…be warned, when you lose a right like this, all hell will break loose and even worse than you see it now. And it’s not because of the “gun nuts” as you call those who are against responsibly upholding their rights. Rights like this that have already been set up by our Founding Fathers, when they disappear, you won’t see them come back. Consider the State of Arizona, which has very open gun laws. These laws have been in effect for many years there. As a personal experience I can recount on behalf of one of my good friends in college, she was permitted to open carry a weapon while she was a student at Arizona State University. This friend, who is a person petite in stature, I remember her telling me, was being bothered by a man while she was out one night, and she simply tapped her hand to the gun in her holster to show him she was armed, and he left her alone. He respected the fact that she was armed. In a gentle manner, she alerted the person that she could defend herself, and he backed away. There was a respectful exchange that took place, in other words, and they both went their separate ways after his attempt to cause my friend harm. What could the outcome have been had my friend been unarmed? I don’t believe it would have been in her favor. Strangely enough, Washington DC our nation’s capital, has the highest per capita deaths by guns in the entire nation. Though the District of Colombia has the lowest number in terms of inhabitants in the country (601,723 per 2010 records) and 3.6 percent of the citizens legally own weapons, 16.5 deaths per 100,000 people were a result of guns. In a state like Arizona, on the other hand, with a population of close to 6.4 million and 31 percent gun ownership, only 3.6 percent of the deaths in 2010 were a result of guns. Click here to read a state-by-state analysis. While Omar Mateen used a weapon to hold hostage 320 patrons, kill 50 of those innocents and injure 53 more, imagine how quickly this could have ended if someone in that club was armed? On the other hand, many Christian leaders are encouraging others to support the LGBT community as a whole, in Orlando and worldwide, to let the community know that we love them and will support them throughout this tragedy and beyond. And I couldn’t agree more. And plan on continuing to do so myself. And we should do so for every single group in the United States that is being targeted by Radical Islam…which is in fact every single American and American supporter. See all of his remarks below and Governor Scott’s recommendation that the Federal Government needs to focus on destroying ISIS…it was ISIS that took the lives of innocent Americans in Orlando. Editor’s Note: Inside Scene sends prayers of peace to Orlando and the gay and Latin communities who have suffered most of all from this act of terror, as well as family members and friends of those harmed and murdered in these attacks. Like what you read here? Stay on the scene with Inside Scene. 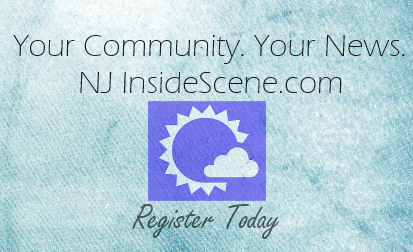 Click here to like Inside Scene us on Facebook.